A Marketing Plan is a written strategy for selling the products/services of your business. It’s a reflection of how serious your company is in meeting the competition head-on, with strategies and plans to increase market share and attract new customers. It encourages employees at every level of your company to meet deadlines and creates a paper trail to determine who is achieving marketing plan objectives and goals. An effective Marketing Plan is backed by carefully collected market, consumer and competitor information, sometimes citing professional data. In order to create it, you must know how to structure a marketing plan. A well-advised Marketing Plan will help you improve your odds against more experienced competitors and newly emerging ones. The plan enables you to recognise and implement trends and consumer preferences that other companies have overlooked, and to develop and expand your group of loyal customers. The plan shows that you have considered how to produce a service that’s innovative, unique and marketable- improving your chances of inflated sales and profits. Use a clean and professional style with examples of the company logo, product designs and packaging types. List tables, graphs and diagrams on a separate page so that the reader can locate these presentation tools quickly. List the appendices that will be included at the end of the document. This letter is a personalised overview of the document. 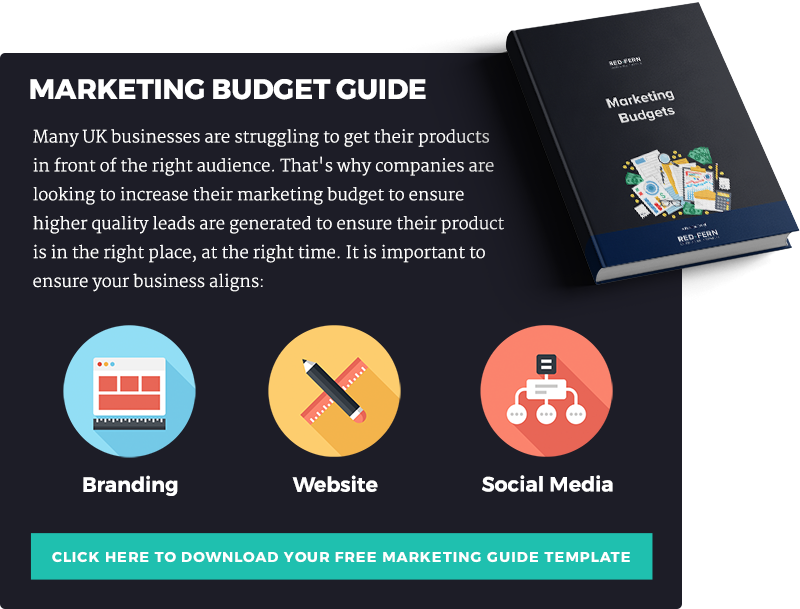 Highlight areas of the plan that are particularly crucial, providing an indication of how it will help your business attain success by achieving the agreed marketing plan objectives. Give the reader an indication of where your business originated, citing the date you began researching the idea, the existence of any mentors or advisors, the scope of your business (the specifics of what the business "does"), and opportunities for expansion. Indicate how the future success of the business can be attributed to the strategies found in the Marketing Plan, and the importance of sticking to the agreed dates and targets. Compare your prospects for future sales with either past performance, or a general industry performance report. By analysing the industry average as well as your own performance you’ll demonstrate that you can look ‘beyond your borders’ to give yourselves an idea of how you compare to your competitors, or what general difficulties the whole industry may be facing. Identify industry-wide problems and create strategies to challenge them. This will demonstrate that you have the foresight to recognise future problems. Set "benchmarks" for your sales objectives by using quarterly reports. This is a way of evaluating the success of our marketing approach. Indicate how much market share you intend to collect over the next 3 years, to show that you expect to advance your position against your competitors using an ‘individual’ approach. Include predictions for after-tax profit for each of the next three years. Relate this profit forecast to the contents of your operating budget costs and figures found in the Business Plan. Indicate how you’ll reinvest your profit margin in future strategies, as well as operating and start-up costs you already have. Don't neglect the future of the Marketing Plan because you have to defer the costs you already have. A well thought out Marketing Plan should do a lot more than ‘pay for itself’ and its activities. Focus on the weaknesses of your competitors by offering better quality at a competitive price. Remember what your attitudes are towards services you consume on a day to day basis. Remember how you react to high prices for poor or marginal quality or service. Justifying your prices for your service while thinking like a customer will give an advantage. Survey a sampling of your customer group and ask them how they feel about competitors services, industry prices and any areas for improvement. Focus on the wants, needs and perceptions of your consumers and potential leads. Identify any service problems in your industry. Show how you’ll attract more customers while keeping the ones you have. Work out the determining factors of customer preference towards a service - like price, or social considerations such as environmental impact, service quality or convenience. Indicate the goals you have for the quality of service, level of service (speed and style), customer satisfaction, and your flexibility to support consumer demands and requests. When learning how to structure a marketing plan, you should analyse your market. This will help determine how you achieve your goals. What State is Your Industry In? Examine whether or not your industry is growing, maturing or declining. If it‘s declining, identify the problems that exist and change what you can. Show how you can adapt to changes you can't control. If your industry is maturing, show how as a company, you can adapt to external forces better than the competition. In a newly emerging and growing market (the best scenario), you need to differentiate yourselves from competitors. Show how you expect to become a larger market share holder, using a new approach to the marketplace utilising the latest technology. Identify the older methods of providing your product/service that are being challenged. Are There Any Problems or Challenges? Acknowledge the problems and challenges of the marketplace you’re entering. Use analysis to construct a strategy that will put you ahead of the competition. Look for ways of prolonging the ‘life’ of your business. You may recognise that your business is threatened by newly emerging technologies and business approaches. To advance your business in the new economy means finding your niche, or, creating one of your own. In your market analysis, you should focus on key areas like sales performance and reinvesting into the marketing budget as revenue grows. Acknowledge why sales & marketing (as a whole) is the most important element of the business when achieving your long-term goals. How Influential Are You in the Local Market? Your focus should also turn to the local market, since local markets may or may not follow the greater industry trend for various reasons. Compare the local situation to the national market; the trends in sales, and the estimated total market that can be reached by local companies. Recognise the position your local competitors have taken in the market; the clients they have, the service they deliver, and the price they expect to charge for their services. Finally, relate your own business’s position to the position of others, reflecting on the maturity and experience of your business’s competitors. Identify your target market, describing how your company will meet the needs of the consumer better than the competition does. List the expectations consumers have for your type of service. Since demands may be different, services will vary between competitors. Quality, price and after sales service are just some of the areas where this difference occurs. Identify the segment of the market that will benefit from your service and area of expertise as well as your approach to selling the service. Predict the sales potential that may be released by tapping into and holding onto your target market (for all three sides of the business), and attracting others through different strategies and approaches. These different approaches can be done at the same time or be more incremental - obtaining a core audience for your service first, then expanding into the rest of the market. Identify the sales potential for each of these target groups. Relate your experience (professionalism, duration) and the contacts you have made to businesses operations - from suppliers to clients, to business professionals. Capital financing, credit, loans and other financial debts should be identified, with strategies to control their effect on the business. Recognise the limited impact of your new service on the market - its lack of recognition may be attributed to the companies inexperience in promoting it, and lack of sales staff. Ensure key stakeholders know that poor or untimely performance will mean lower than expected profits - which results in a lot of the money going in to alleviate pressure rather than improving business facilities, operations, staff resources and expanding market share. Examine how proper timing as well as other factors, such as your company's innovativeness, may improve our business's chances of success. Use tools such as customer surveys to emphasize the need for service quality and after-sales service. Relate your company's focus to a segment of the present market that’s being overlooked. List the external threats to your business's success, such as existing and newly emerging competitors, the performance of the economy, and your dependency on other businesses such as suppliers, retailers and distributors for market access and support. Identify your service by what it is, who will buy it, how much they will pay for it and how much it will cost to produce it, why a consumer demand exists for your service, and where the service sits in comparison to similar services available. Describe the marketplace rationale for the differences between your service and a competitors. Look at quality, price, new ideas/approaches, and how your service appeals to a specific customer base - considering both existing and new customers you hope to attract. Be specific about how your service improves upon those already existing, your use of quality control, post-purchase evaluation (and obtaining feedback) and the scope of service you’ll provide: responsibilities, liabilities and expectations. Identify the location of your business, why it’s located there (strategic, competitive, economic objectives), your expected methods of delivery, and timing objectives. Different services have different shelf lives and your estimation of how long your service will remain on the shelf is an important one. Describe the type of promotional methods you’ll use to spread the word about your service. Identify techniques and strategies using digital, traditional and inbound marketing techniques. List accessible tradeshows that offer your business an opportunity to display banners and promotional literature, while also generating leads and connections. Explain our use of expensive mediums such as SEO, PPC, link buying etc. All can be highly expensive, but provide a larger audience and reach potential. Partnership campaigns between yourselves and associated businesses provide the chance to improve your market image and sales while tapping into leads you might not have gotten otherwise. The prices of your services should reflect your overall company strategy. Pricing should be competitive as well as a reflection of the quality, costs and profit margin you wish to achieve. List the quality features of your service, as well as the associated cost component for each item or level of service. List strategies we plan to use, such as providing a discount on some services we sell in order to increase the sales in other areas. Show the predicted level of sales you expect to achieve with and without the strategies we have outlined in the marketing plan. Show the natural level of leads/sales as described in your business plan, and then show the expected increase in leads/sales as they relate to specific marketing techniques. Show the market share you’ll hope to attain, based on ‘high’, ‘medium’ and ‘low’ estimates for the success of your marketing plan and strategies. Forecast the ‘break even point’ for each of the following 3 years, in the number of sales in your currency. This will demonstrate your need to hit a certain amount of conversions in order to cover your expected costs for each of the next 3 years. Outline the areas of weakness in the financing of your business; the deficiencies that may be found in areas such as ‘operating capital’, outstanding loans, and insufficient credit. Provide appropriate suggestions for reducing the effect that these deficiencies will have on the successful operation of the business. An analysis that shows where your company's image lies in relation to your direct competition. Provide the reader with some examples of the type of artwork and advertising you hope to use to attract potential customers, and, to portray a particular image of your service. Such materials can demonstrate the effectiveness of our message and successful service recognition. Include statistics covering business expenditures, personal income characteristics, employment figures, and spending and consumer patterns of our current and potential customers. Provide budget sheets for digital campaigns, sales promotions, and expenses. Relate the pricing of your products or services to your costs, profit margin, ‘break-even point’ in sales, competitor pricing schemes, consumer profiles and product/service expectations. Separate the ‘fixed cost’ components and your ‘variable costs". Fixed costs are those that should remain stable over the next 3 years, while variable costs are those that adjust to varying revenues, profit/loss and other business pressures. Do You Know How to Structure a Marketing Plan? Before you create your marketing plan, be sure you understand ALL of the above information. If there are any sections that don’t make sense, make sure your conduct plenty of research.